Dr. Akerman joined the Center in 1999. He is originally from Argentina and is fluent in Spanish, English and Portuguese. He is Diplomate Certified by the American Board of Obstetrics and Gynecology, Subspecialty in Reproductive Endocrinology and Infertility. Dr. Akerman graduated with honors from the Universidad de Buenos Aires, Argentina, where he also completed his Residency in Obstetrics and Gynecology in 1992. He completed an Internship in Pathology at Albert Einstein School of Medicine, New York, in 1993. He completed his residency in Obstetrics and Gynecology at Saint Louis University School of Medicine in 1997 in Missouri, and his fellowship in Reproductive Endocrinology and Infertility at the University of Louisville, Kentucky, in 1999. 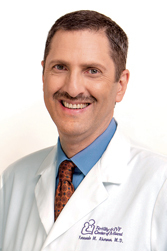 Dr. Akerman is a member of numerous scientific societies including the American Society for Reproductive Medicine (ASRM), the Society of Reproductive Endocrinology and Infertility (SREI), the Society of Assisted Reproductive Technology (SART), the American Congress of Obstetricians and Gynecologists (ACOG), and the Miami Obstetrical and Gynecological Society. In 2015, he became the President of the Florida Society of Reproductive Endocrinology and Infertility (FSREI). He is an active speaker at numerous international fertility meetings.